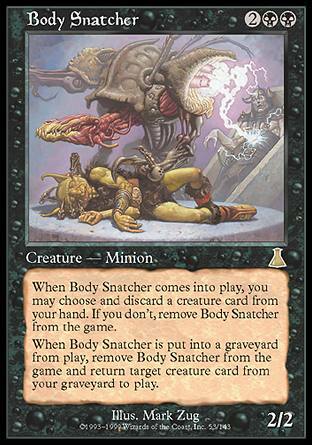 card text: When Body Snatcher comes into play, you may choose and discard a creature card from your hand. If you don't, remove Body Snatcher from the game. When Body Snatcher is put into a graveyard from play, remove Body Snatcher from the game and return target creature card from your graveyard to play.